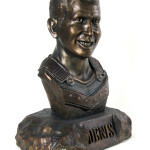 A custom bronze bust from photos. 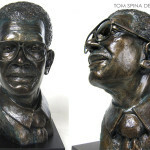 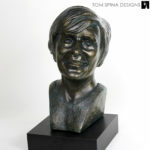 This piece of art is a memorial bust sculpted for an organization looking to create a unique tribute to one of their late members. 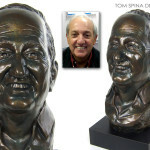 This life sized statue was hand sculpted in clay by sculptor Tom Spina, who created this bronze bust from photos of the person they wanted to honor. 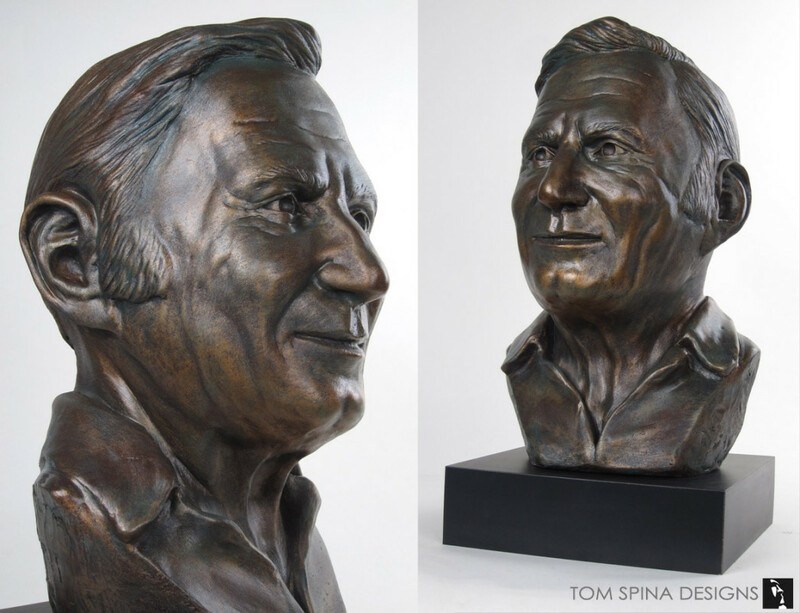 The sculpture process for a bust like this one takes several weeks and once the clay work is complete, the piece is molded and then cast in a resin material which our artists then hand paint the bust with a multi layer faux bronze finish with patina. 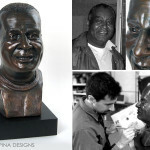 Are you looking for a unique way to honor someone special?